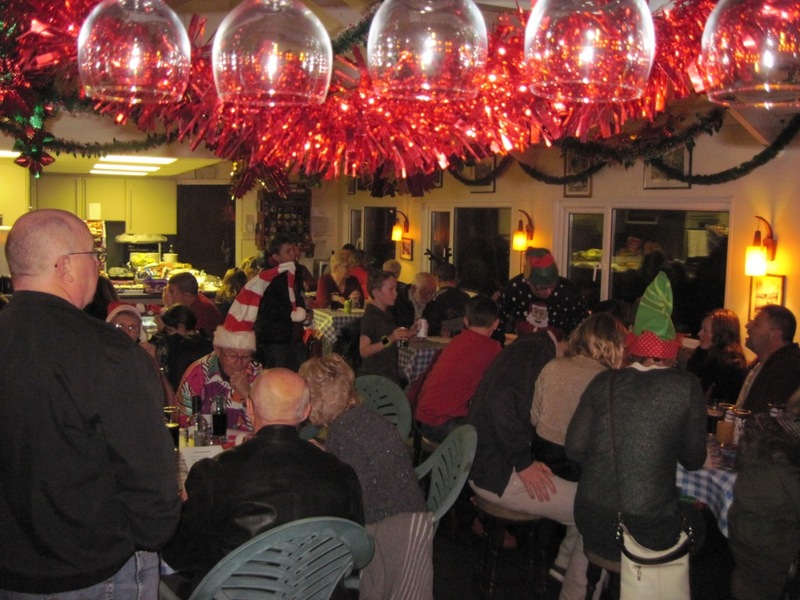 The Club celebrated the festive season in style last Saturday 13 December when members packed the gaily decorated Clubhouse for the Christmas Party. The buffet was a fantastic mix of food, all provided by those attending, and left nobody wanting. A light-hearted Xmas Quiz kept everyone amused before Father Christmas arrived with a sack full of presents for all the good boys and girls. After this came a fun game of Catchphrase with the boys versus the girls and it was a clean victory for the boys. Gunfleet Sailing Club held the seventh and final race in its Winter Series last Sunday in force four, gusting five, south-westerly winds. The start caught David Evans off-guard as, having enjoyed a good thrash out to sea in his Laser just minutes before the off, he suddenly realised he would be unable to return to the line in time. He wasn’t, however, alone as both Andy Dunnett and John Tappenden also suffered from a poor start in their Lasers. 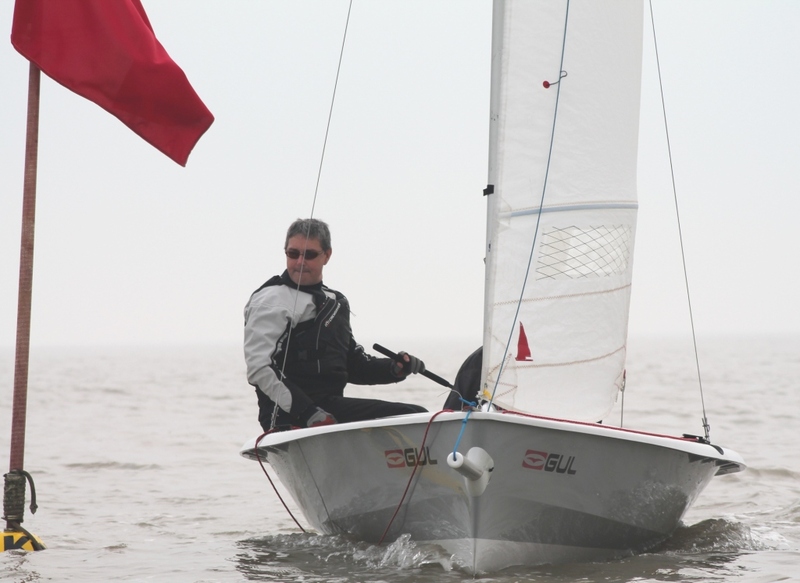 The rest of the fleet got off to a flying start, beating down the coast to the St.
Members of Gunfleet Sailing Club that arrived for the sixth and penultimate race of the Winter Series last Sunday 30 November were greeted by a lack of wind, grey murky conditions and a sea mist that reduced visibility to an unacceptable level. Undeterred by this the competitors prepared their boats and as they did so the mist lifted, the sun broke through, and a force three offshore wind kicked in, making almost perfect conditions. 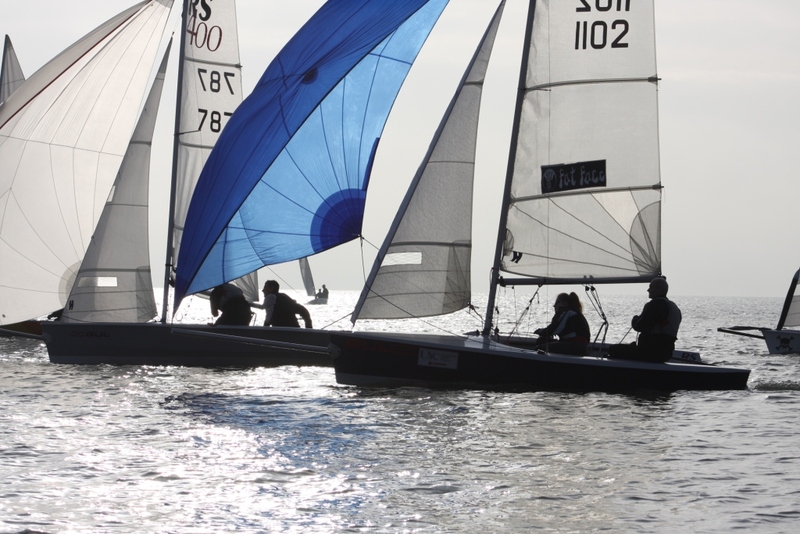 Conditions were anything but inviting last Sunday 23 November when Gunfleet Sailing Club held the fifth race in its Winter Series. The rain just held off long enough to get the boats on the water and then it was constant, falling from a dreary, grey-clad sky as an offshore wind gusted between force two and five. Brogan Bates and Nick Cottee in their Hobie 405 got an excellent start, as did Simon Clarke and Emily Cossens in their RS 400, but all competitors were very close. Members of the Gunfleet Sailing Club celebrated the end of their 2014 sailing season at the Laying-Up Dinner and Dance last Saturday 15 November. 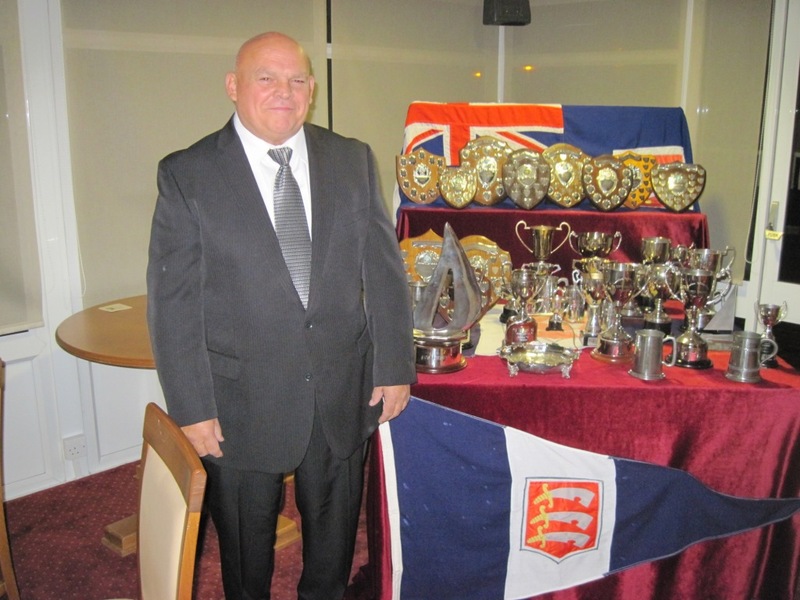 Commodore Richard Walker welcomed 86 members to the event, held at Clacton on Sea Golf Club, and, after an excellent meal, he looked back at yet another very successful year. Gunfleet Sailing Club held the third race in its Winter Series last Sunday 9 November, having first observed the two minutes silence and, with just five minutes to go before the start, the wind swung round ninety degrees; changing from north-westerly to south-westerly. 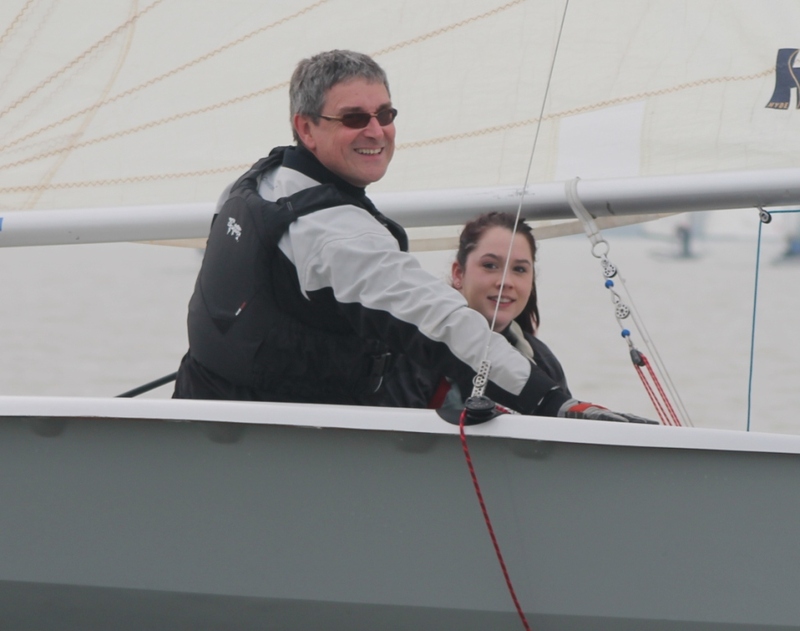 The competitors sailed up and down the line in anticipation with the RS 400 of Paul Davis and Beth Ford, and John Tappenden in his Laser, timing it to perfection; as the start gun echoed across the water both boats were away, heading out to sea on starboard tack. 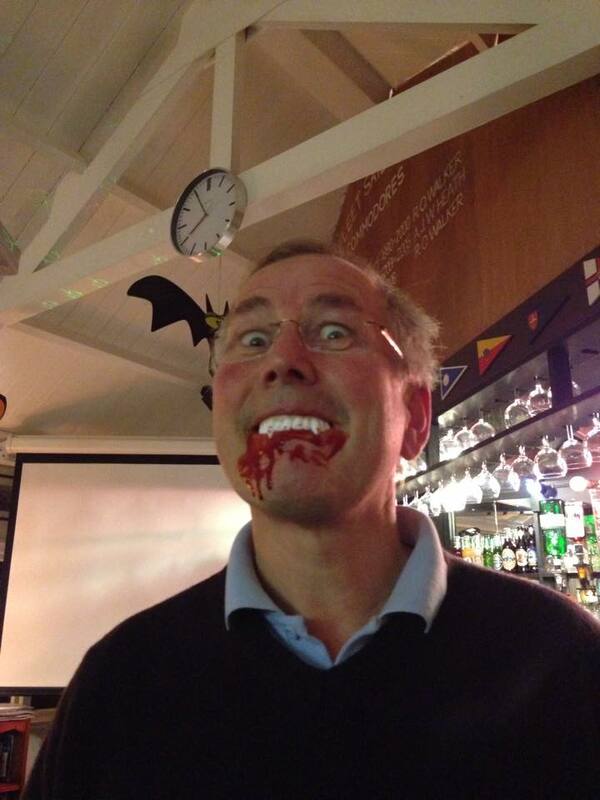 Gunfleet’s Halloween Party turned out to be a horrific success....if not just a little bit scary. Many of the members dressed-up (or down, depending on their normal attire), with some frightening and, at times, grotesque costumes on display, and several members, of all ages, had entered the bun decorating competition, bringing down some great cakes. 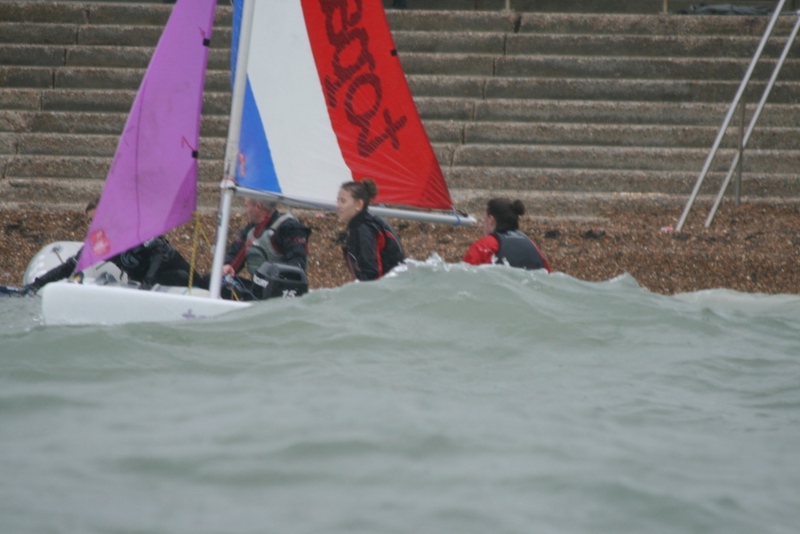 Members of the Gunfleet Sailing Club took part in the first race of their Winter Series last Sunday 26 October with the weather making an appropriate backdrop. A force 5, gusting 6, south/south-westerly wind, grey skies and a lumpy sea did not deter 15 boats from taking part and on a tightly bunched start line it was Paul Davis and Beth Ford who timed it to perfection in their RS 400, flying through on port tack just as the class flag dropped from the yardarm. 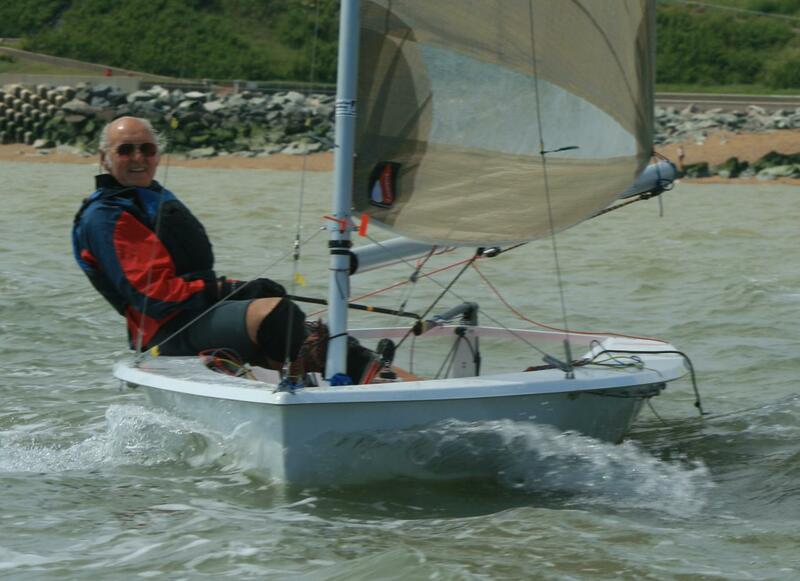 Gunfleet Sailing Club held the second in its Autumn Series last Sunday 12 October in a pleasant force three north-easterly breeze. Lead by John Tappenden, in his Blaze, the fleet all beat towards the shore on the first leg to the windward buoy, in order to try and cheat the freshly flooding tide. There was, however, one exception to this as Brogan Bates and Nick Cottee headed out to sea in their Hobie 405 but this defiant tactic failed to make any impression and in fact lost them some considerable time. The only thing missing was a sailor’s wind last Sunday 5 October when Gunfleet Sailing Club held the first race in its Autumn Series. The unbroken sunshine and blue skies suggested a summer’s day but an hour before the start there was a complete lack of wind. Then a light wisp appeared, varying in direction and alternating some 270 degrees before settling in as southerly. As the twelve boats launched they were greeted by a force two, touching three, breeze but as the starting gun echoed across the water the wind dropped. 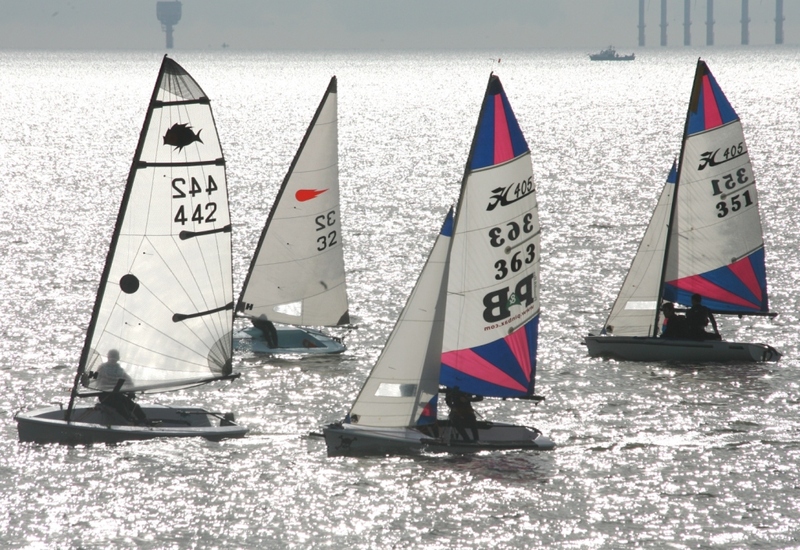 Hazy sunshine and very light airs were the order of the day for the competitors at Gunfleet Sailing Club when they took part in the race for the Club’s oldest trophy – the Tee Dee Challenge Cup last Sunday 28 September. As this race also counted towards the final results of both Class Points and the Cadet Spirit of the Wind series it made the whole event a very tense affair. 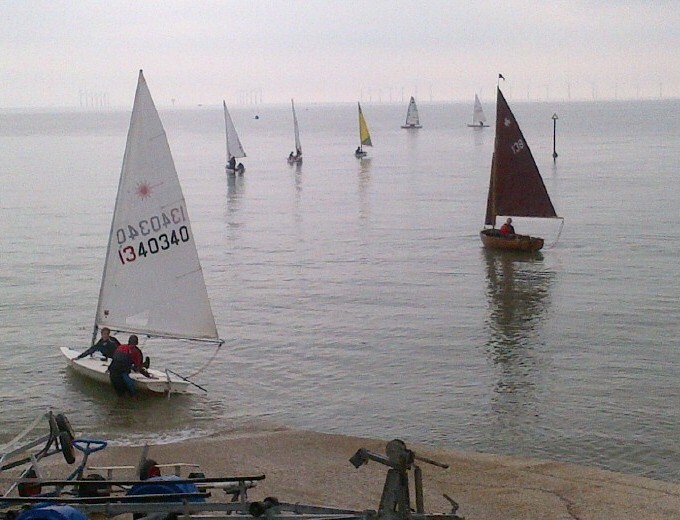 Gunfleet Sailing Club concluded its 2014 cruising programme last Saturday 20 September when a fleet of dinghies headed up the coast on a farewell sail. When the boats launched there was absolutely no wind, just a rather grey and oppressive sky, but the ebbing tide took the craft in the right direction, accompanied as always by one of the Club’s Rescue Boats. After about half an hour a northerly breeze kicked in and this soon saw the boats scurrying along past the coast defence scheme at Holland Haven, and on towards Frinton. 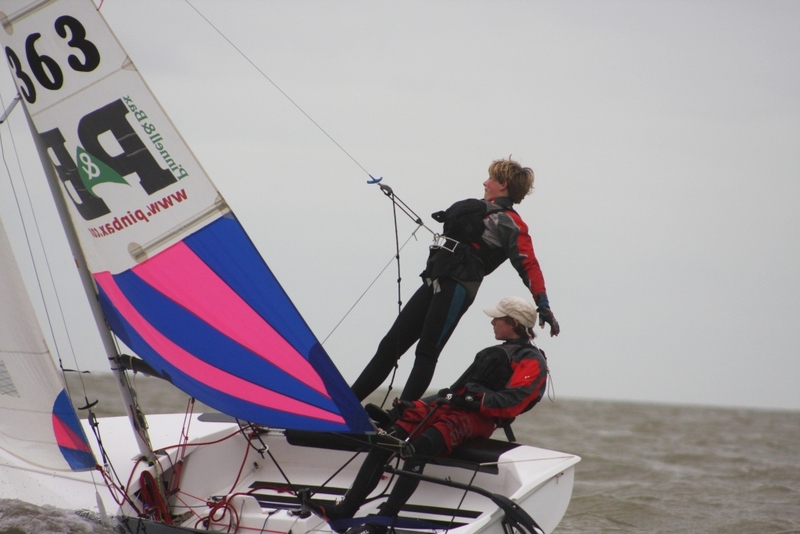 The last Cadet and Otter Sailing On Saturday (SOS) of the season was held at the weekend 13/14 September when the final race in the SOS Class Points got underway in a force 5, gusting 6, north/north easterly winds and large seas. Right from the start it was clear that this was going to be a lively affair and, sure enough, capsizes came thick and fast. Harry Swinbourne was first to go over in his Topper, followed by Tom Philpot and Daisy Swinbourne in their Topaz. Gunfleet Sailing Club held its race for the Jim Suckling Long Distance Race last Sunday 7 September, and with very light winds it turned out to be a rather long and tortuous affair. The Officer of the Day set a course which took the fourteen boats past Clacton Pier and down to the Watersports area, and then back up the coast to Holland Haven. A fickle west/north westerly whisper of a breeze meant that it took a whole minute before the first dinghy, the Blaze of John Tappenden, managed to cross the line, and it was a further nine minutes before the very last craft got away. 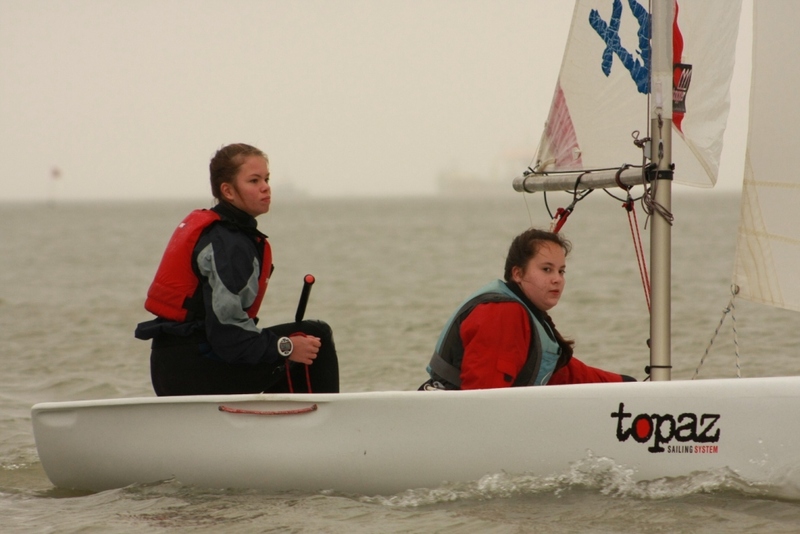 Gunfleet Sailing Club’s 2014 Cadet Week was full-on despite bad weather seriously hampering the sailing programme. The Monday sailing had proved very lively, and the wind on Tuesday proved so strong that the 40 Cadets and Otters were forced to remain onshore but a wide variety of land-based games, including releasing the four team captains from their imprisonment after completing a number of stretching challenges. There was also a visit to Clacton Lifeboat Station to see how a modern lifesaving organisation worked.